Searching to save money on any Lexmark toner? If your laser printer is short on toner you'll be able to make incredible cost savings by just obtaining any replacement Lexmark 1255 toner with us. Our business have a low price policy so that you can receive great offers on all Lexmark 1255 toner cartridges without the need to to go and shop with really expensive high street suppliers Furthermore, Cartridge Save provide you with Lexmark 1255 toner cartridges that are both inexpensive and also well-made so you can get security with each and every order! Brilliant Deals Today On All Lexmark 1255 Toner Cartridges! If perhaps you have already chosen to buy Lexmark toners from Cartridge Save previously then you will be aware that the reliable delivery service will lower your costs. This specific lower priced Lexmark 1255 toner can be ordered online by visiting our secure shopping checkout so don't miss the opportunity and place an order as soon as possible to save the most. We provide an top rated customer satisfaction team that will always make sure that buying a replacement Lexmark 1255 toner cartridge will be a swift and also simple process. Customer care is our biggest priority and so we give you a no-hassles money back guarantee on Lexmark 1255 toner to provide complete peace of mind. For the cheapest bargain on Lexmark 1255 laser toner cartridges you simply cannot beat ordering from Cartridge Save. 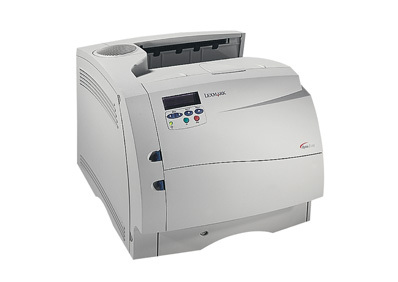 The Lexmark Optra S 1255 is aimed at small offices that need a user-friendly and straightforward laser printer for their basic documents and printing needs. It is also aimed at workgroups that need a fast device that can help them meet deadlines while ensuring versatile media handling. However, the Lexmark Optra S1255 workgroup printer is actually lacking in support for specialty paper and there are other limitations preventing it from becoming more efficient in growing or busier environments. The odd but compact shape of the Lexmark Optra S 1255 printer allows it to fit seamlessly onto any office desk without occupying too much space. The Optra S 1255 office black and white printer resembles its predecessor in may ways from the build to the measurements, as well as with the parallel interface, but it runs on an NEC 67MHz processor with 4MB of RAM. The paper capacity is up to 350 sheets with 100-sheet and 250-sheet autoload media feeders. The control panel includes a small LCD display with a few operational buttons. It is possible to increase the memory of the Lexmark Optra S 1255 monochrome laser printer to 68MB. The print speed is up to 12ppm in best mode, which is enough for low volume document production. The 1200x1200dpi resolution ensures sharper text and clearer graphics printed in monochrome. The Lexmark 1255 Optra S printer supports a range of language simulation, PostScript, and bitmapped or PCL fonts. The device is notably quiet when operating. Buying cheap "aftermarket" Lexmark Optra S 1255 cartridges is a good way to save money without any noticeable dip in performance. There are no options to expand the paper capacity of the Optra S 1255 and though aimed at workgroups, there are no built-in networking functions. Media handling is limited to transparencies, envelopes, plain paper, and labels. Two-sided printing is optional in the Lexmark Optra S1255. There are no direct print capabilities.